And click here to discuss on the He-Man.Org forums! "Funko is debuting Saturday Morning, an experiential booth that focuses on FunkO's cereal, classic cartoons, and, most importantly, fun! 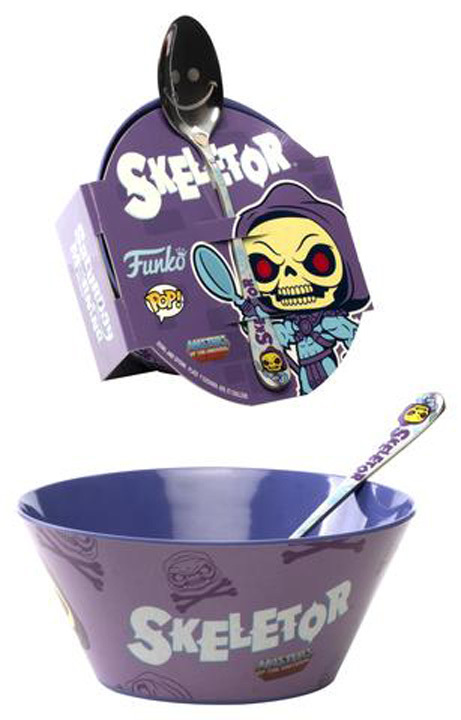 DesignerCon exclusive FunkO's cereal will be available at the booth! The lineup includes Freddy Funko, Marvin the Martian, Skeletor, the Red Power Ranger, Rugrats, Hong Kong Phooey, the Amazing Carlos, and a very special collaboration with Be@rbrick! All DesignerCon exclusive FunkO's cereal boxes are limited to 1000 pcs each except the Be@rbrick, which is limited to 3000 pcs. ...The Television Box Pop! Tees include The Jetsons, The Flintstones, and Masters of the Universe! The Jetsons and The Flintstones box tees are limited to 600 pcs each! 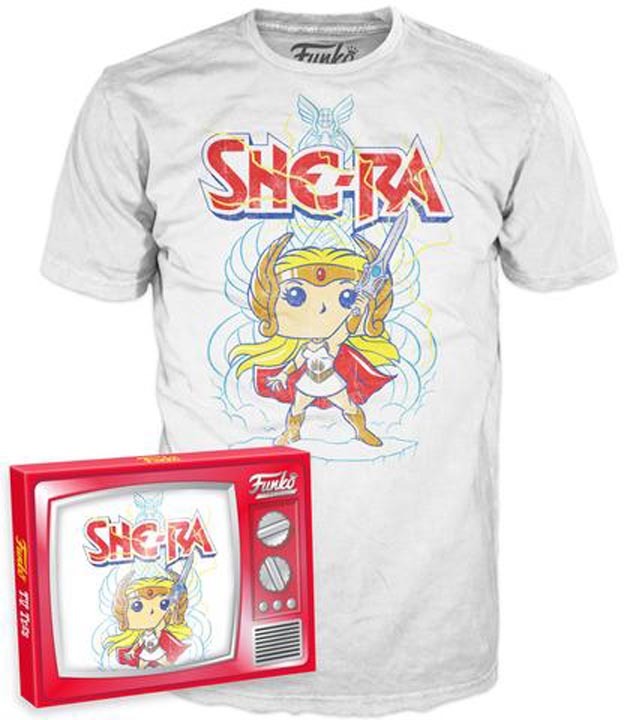 Both Masters of the Universe box tees are limited to 1000 pcs each! 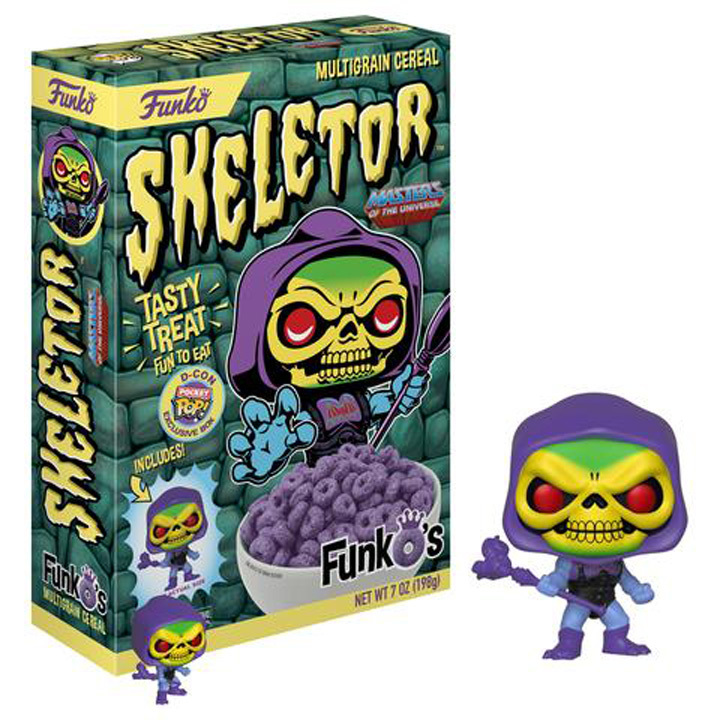 ...Introducing Funko Cereal Bowl and Spoons, which feature Freddy Funko, Hong Kong Phooey, Rugrats, Skeletor, and Marvin Martian! All five will debut at DesignerCon and will be widely available later this year!" DesignerCon takes place November 16 - 18, 2018 in Anaheim, CA.